Carbon Monoxide (CO) is a highly poisonous gas that is very difficult to detect because you cannot see, smell or taste it. Known as the silent killer, the gas can remain undetected at home until it's too late. Exposure to the gas can lead to CO poisoning, which is estimated to cause between 30 and 50 deaths each year. One way to protect your family and keep your home safe from CO hazard is to install a carbon monoxide detector. Carbon Monoxide is emitted from badly fitted and inadequately maintained domestic heating appliances. Gas-burning appliances in the home are especially high risk for CO poisoning when not properly fitted and maintained, but it is not just gas appliances that pose this risk. Solid fuel like coal, wood and petrol also emit carbon monoxide, as does oil-burning products. Children are at greatest risk of CO poisoning in the home because they are smaller. The gas can more quickly absorb into a child’s body and starve the child of oxygen. Even in adults, CO is absorbed into the blood stream 240 times more easily than oxygen and can cause lasting neurological damage. It is absolutely important that you detect warning signs of CO before it is too late. 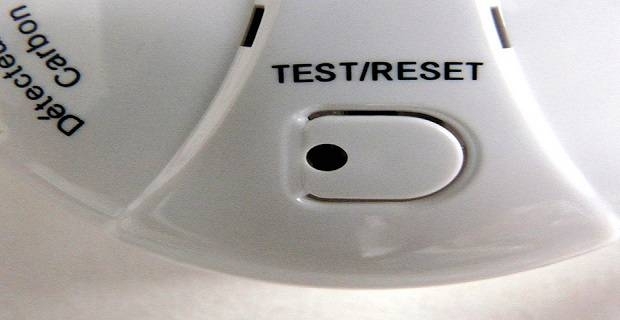 Because it is difficult to recognise the colourless, odourless, tasteless gas yourself, one of the best ways to detect potential CO risk is by installing an audible carbon monoxide detector in the home. An audible carbon monoxide alarm system can be bought from any DIY store and helps to immediately alert you of any CO in your home. Installing a carbon monoxide detector in your home is a straightforward task you can easily do yourself. Simply follow the manufacturer’s instructions and place the alarm in a central location somewhere not close to an outside door. The detector will sound an alarm before CO levels in the home reach a threatening level. 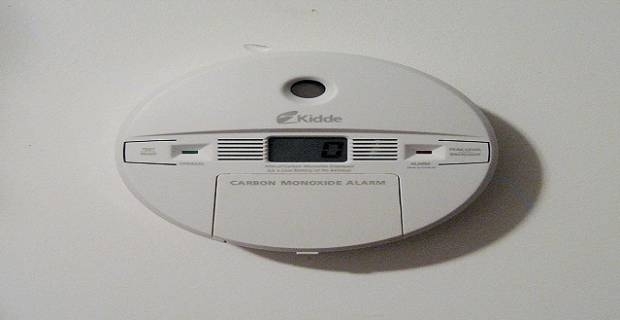 If your carbon monoxide detector sounds an alarm or you ever suspect your boiler, heaters, ovens or fires might be emitting carbon monoxide, stop using them at once. Call a professional engineer and have them examine the suspect appliace. Only use the appliance after the engineer has assured you it is safe to do so.